Also referred to as paralegals, this career has become exceedingly popular due to the rising compensation. People are looking for less costly legal services which makes paralegals a vital necessity in the field, in turn making it one of the fastest growing professions. Although called “assistants”, paralegals assume greater roles in management. Working under the supervision of Solicitors and Barristers, legal assistants handle case planning, draft pleadings, interview witnesses, fact check, and even assist during trials. There are great opportunities growing for legal secretaries in law firms and other legal departments. With advancements in law office technology and a complete reconstruction of how legal proceedings are being handled, legal secretaries now have greater responsibilities. In this role not only do they arrange meetings and prepare reports, but also implement management decisions. Legal secretaries keep law firms and other legal departments organized and in order. 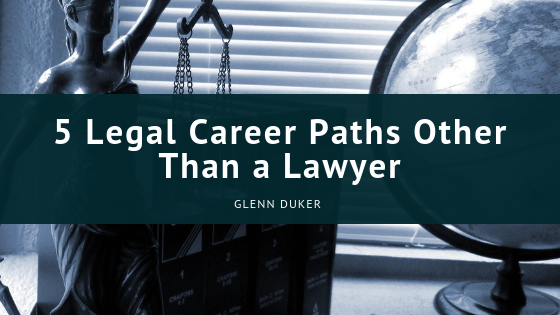 Many career opportunities that are law-related that aren’t lawyers involves being a consultant. One of the more popular consultant opportunities is a legal nurse consultants. For those who have already gained experience as a nurse can expand their career by advising attorneys in medically-related issues of the law. They will assist lawyers going through evidence and help with all of the medical aspects of the case. As an extremely lucrative career choice, there are many great opportunities for legal nurse consultants. Another legal consultant career opportunity is a trial consultant. Trial consultants are becoming high in demand as eTrial support and eCourt requirements grow in Australia. Lawyers are in need of assistance with technology during trials for an advantage in court. They end up utilizing trial consultants during the process. Using many fields such as psychology, sociology, and the law, trial consultants use their knowledge of legal technology to help the attorneys communicate complex information to a jury. With the use of technology, trial consultants are able to gather evidence and help lawyers build a stronger case. Machine Shorthand Reporter record verbatim testimonies, speeches, and statements during court and legal proceedings. They create a hard, written copy of all proceedings in court, using a special stenographic equipment. Also referred to as stenographers, the popularity of this job has dropped quite a bit. This drop has made the need for court reporters dire and therefore increasing salaries.